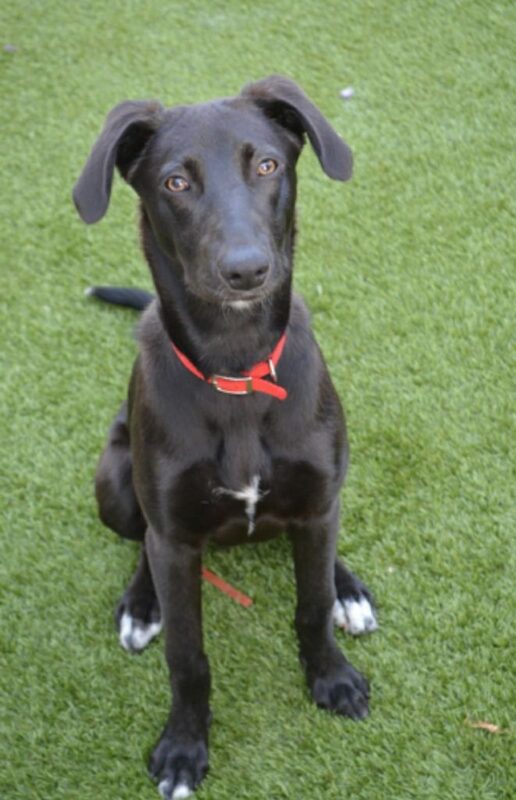 Benji is a 6 month old labrador lurcher cross boy. He is a very friendly and affectionate boy who is great with children, adults and other dogs. He is typical inquisitive, playful pup. Benji knows to sit, lie down, give the paw, leave it and stay, but would benefit from more training. 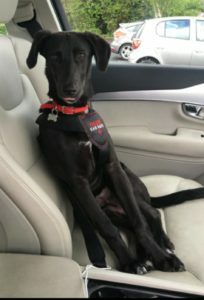 He is house trained and crate trained, he is excellent in the car and is good on the lead, though can pull a bit when excited. Benji is a medium energy boy who would like a walk or two a day along with some play time. He would be happy alone for a few hours when his humans are out. Benji has been microchipped, vaccinated and will be neutered before rehoming.